Aliso Viejo real estate has the charm of a small community with the convenience of proximity to Soka University, the Interstate-5 Freeway, and Toll Roads. The youngest city in Orange County, Aliso Viejo is located high in the San Joaquin hills and offers amazing views of the surrounding areas in Orange County. 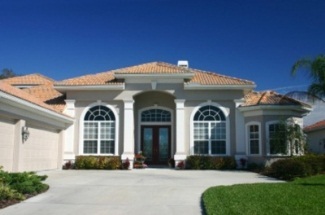 Aliso Viejo homes for sale are generally comprised of apartments, condos, town homes, and single family homes. Gorgeous Pacific Ridge home on a large lot near the end of a cul-de-sac. The double door entry leads to a beautiful, light and bright living room with dramatic vaulted ceilings and lots of windows. The popular floorplan opens up the kitchen to the family room, living room and dining room. Granite counters, stone backsplash, stainless steel appliances including a brand new gas range, and a breakfast bar complete the well-appointed kitchen. Bordered by Laguna Niguel, Laguna Hills, Laguna Woods, and Laguna Beach, Aliso Viejo provides moderately priced homes for sale for middle and upper-middle income home buyers as well as a community to live, work, and play all in the same area. All homes are within a few miles of the Aliso Viejo Town Center, which is known as the gathering place for most residents where they can enjoy, casual dining, entertainment, and shopping. Becoming incorporated in 2001, Aliso Viejo was the first planned community in Orange County, making it the most sought-after real estate with a population growth of 32,000 in just one year. There is certainly a long list of points of interest for residents in Aliso Viejo. Some of the most prominent will include the lovely Aliso Viejo Country Club, which features an impressive 18-hole golf course designed by golf legend Jack Nicklaus and his son. Aliso Viejo real estate also sustains the Aliso & Wood Canyons Park, which contains approximately 30 miles of open space land and wilderness. This scenic park is excellent for hiking, biking, and equestrian trail riding. The renowned Marriott hotel chain chose Aliso Viejo for its first fitness resort, the Renaissance ClubSport, which opened in 2008. Take control of your Aliso Viejo real estate hunt using our advanced listings search! 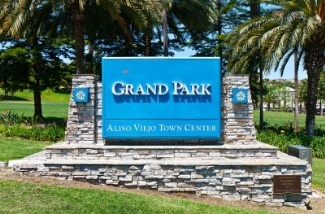 The Aliso Viejo community also boasts the Grand Park where community events and entertainment are held and presented throughout the year, appropriate for the whole family, like the Fall Harvest Event, Holiday Tree lighting & Santa's arrival, Spring Egg Hunt & Pancake Breakfast, and the Annual Summer Concert in the Park to name a few fun events. The Aliso Viejo Aquatic Center provides a resort-style swimming complex for residents in the heart of the city. The center includes a five lane junior Olympic pool for swimming laps, a recreational pool, and a children's wading pool with a toddler splash pad. Also available are an adult whirlpool, a full service snack bar, secure locker rooms, and a patio with an outdoor fireplace. Other sporting facilities for softball, baseball, soccer, and other sports are readily available through the city's Community Association, which manages the parks and recreation programs in Aliso Viejo. There are also organized groups promoting youth volleyball, basketball, and Little League in the city, for children and teens that show an interest in sports. Avid sports fans will find that semi-professional teams are based in the Aliso Viejo area, where the Orange County Storm (a new American Basketball Association expansion team) plays its games. Semi-professional baseball is also found close by in Mission Viejo. Educational opportunities for both children and adults can be found in the Aliso Viejo area, with two private secondary schools, a public high school, two middle schools, and four elementary schools inside the city limits. All of the public schools are part of the San Capistrano Unified School District. In addition to Soka University of America, a private institution directly in Aliso Viejo with undergraduate and graduate program offerings, there are other colleges within close access to Aliso Viejo. These include Saddleback College, which is a large community college, as well as Chapman University, University of California at Irvine, California State University at Fullerton, and several others. In addition, the public library in Aliso Viejo is part of a well-established group of libraries to serve greater Orange County. The Aliso Viejo branch offers an assortment of free programs throughout the year, including fascinating documentary movies for children and families. The library presents a program called "The Film Movement" on certain Friday nights. Aliso Viejo has a thriving business community in addition to its residential charms, and is the home base for a number of sizable and successful companies. The computer software and security industries are well represented, as are insurance, pharmaceuticals, and the restaurant business. The effort to blend business and residential interests into one cohesive and functional whole is evident with the motto proclaimed on the Aliso Viejo city website: "Life works here. Business lives here." The combination of these elements offers many residents the tremendous opportunity to live and work (not to mention play!) in the same community, avoiding long and stressful commutes and enhancing their overall quality of life. Aliso Viejo's affiliation with Soka University of America also offers residents a rich assortment of activities, including concerts, cultural events, and intriguing speakers from around the country and across the globe. These activities are often either free or provided at a minimal cost for residents. The city of Aliso Viejo also provides a broad spectrum of opportunities for worship, with a varied selection of faith groups represented with churches, temples, and other religious organizations in the area. The respected Mission Hospital/Saint Joseph Health System operates a health center located directly in Aliso Viejo, offering excellent primary medical care to residents. For more advanced health care needs, Aliso Viejo is also close to the Mission Hospital in Mission Viejo, which is one of the three trauma centers in Orange County and also provides full, comprehensive care and rehabilitation services. Health classes and activities are also available to the community through the Aliso Viejo Family Resource Center, which is run by the city and offers a variety of health and wellness related programs. The Resource Center also teaches art classes and hosts other public activities for the enhancement of the community. If you would like further information or assistance regarding Aliso Viejo real estate and available homes for sale, please contact our team! We'll connect you with the best opportunities in Aliso Viejo and the OC.